Last Thursday night Clon’s first XV played their last game for this season v Kanturk in the County Cup final. Flying high from their win in the shield last week, Clonakilty were hoping to add to their silverware to finish the season on even more of a high. But unfortunately Kanturk had other ideas and managed to bring the County Cup back for a 5th time. Kanturk kicked off into favourable conditions and started off this battle. Clonakilty initially began some good work creating chances from themselvesbut found it impossible to break through the Kanturk defence. After 10 minutes Kanturk were awarded a penalty which they slotted over with ease. From that point on Kanturk began their assault on the Clonakilty line and did some serious damage within the space of 20 minutes. Kanturk went over for their 1st try and conversion punishing Clonakilty for their errors. 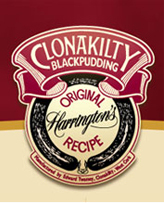 Clonakilty did get a penalty back which Eoghan Deasy converted bringing the score back to 3-8. Clon couldn’t seem to catch a break in the game with some great runs from Josh Wilcox once again this week but getting no reward at the end. But when Kanturk had possession they took it and dominated with easilty bounding over 2 more tries and 2 conversions in quick succession extending their lead to 3-22. Just before the break, Clonakilty showed a spark of life when Gerard McCarthy dove over the line to steal back a try, narrowing the gap to 10-22 at the half. The second half showed Kanturks massive skill in the game, dominating most of the play. 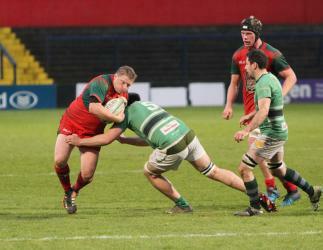 Clonakilty had good attempts at the line but handling errors meant they could not convert to points. Kanturk continued to push on the Clonakilty defences governing most of the game. Clonakilty were able to hold the Kanturk men out for most of the half with some great defensive work when it mattered most. As the clock moved on both sides were without a score in the second half however hopes of Clonakilty’s comeback into the game began to dwindle. Then with 10 minutes to go Kanturk were rewarded for their hard work throughout the game and were awarded a penalty try after numerous scrum attempts inside the Clon 22’. The Clonakilty men showed courage and strength to keep battling on for the rest of the game and continued to try and gain a score till the bitter end but alas it was not to be. A disappointing finish to Clonakilty’s season but throughout the season we have seen the Clon men continue to grow and improve all a great sign of moving in the right direction. An upsetting finish, but some great sign of things to come within the club.